River City Blackhawk: Has Anyone Ever Played This Game? 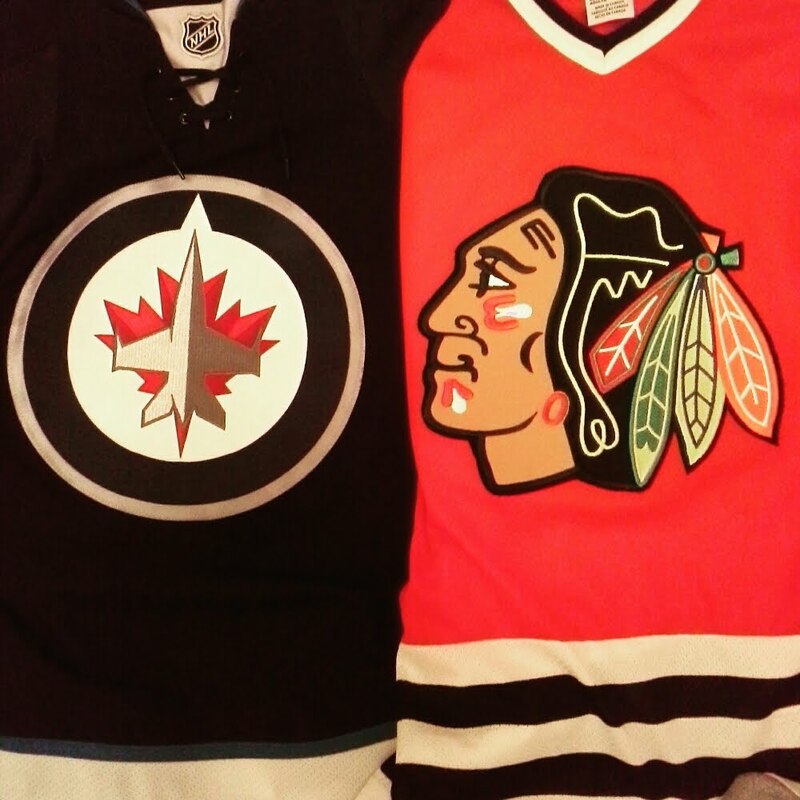 With it being unofficially Hockey Heritage week here in Winnipeg, I've been digging through some of my old Jets stuff. I have the usual ticket stubs, game programs, media guides, photos, pucks and magazines related to the Winnipeg Jets from the WHA and NHL eras. A somewhat rare interesting item I dug out is a board/card game called, Laurie Boschman's Power Play Hockey Game. If you're not familiar with Laurie Boschman, he spent a lot of career playing hockey in Manitoba. Bosch was born in Saskatchewan, but spent his junior career with the Brandon Wheat Kings where he had some amazing years. In 1978-79, Bosch had a 66 goal, 149 point season (as well as 215 PIM!!) and led the Wheaties to the Memorial Cup final losing to Peterborough Petes in OT. Boschman was drafted by the Leafs, traded to the Oilers and came to the Jets for the 1982 season. He had his best years with the Jets and played in Winnipeg from 1982-1990. He also went on to play with the Devils and the Senators. Not sure, if that's Boschman's real autograph on the box? Yup, that's it. This is all the pieces of the game...no moving parts. So I'm assuming the game was created during Boschman's time with the Jets since he wears a logo-less Jets jersey in the picture on the box and there is a Winnipeg address on the side. The address is actually within walking distance of where I live, so that's pretty cool. The game is very simple. As you can tell from the photos, the board is a hockey rink with the red and blue line and the nets. The goal is to move the puck into the opponents net through dice rolls and card flipping. There are command cards, Penalty Card and Big Play Cards and depending on the number from your roll, you'll pick up one of the cards from the two piles, then you follow what the card says, pretty simple, eh? I did play the game many times with my family and though it's no EA Sports NHL hockey or even Strat-O Matic, it was mildly entertaining and cleverly uncomplicated. Okay, this is pre-internet and in the early days of video games, so there weren't many hockey based games at the time so you're expectations shouldn't be too spectacular. I don't know if Laurie created the game from his home or if he lent his name to a friend that made this, but I would be very curious if anyone knows the story behind it. I can't remember where I bought the game (maybe garage sale or used Sally Anne type store? ), but I'm sure I bought it in the 80's. I thought there might be some interest in this game with the Heritage Classic and Alumni game taking place this weekend and with Laurie Boschman skating on the Winnipeg Jets Alumni team.